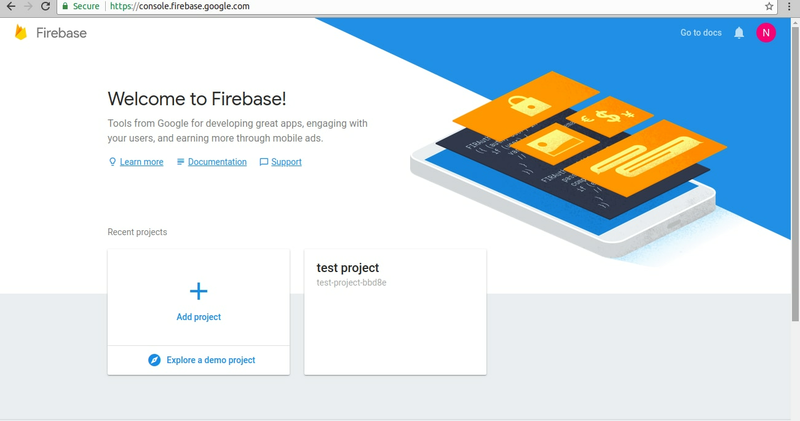 To be able to send push notifications via Connecto, you will have to register a project with firebase Console(Here). 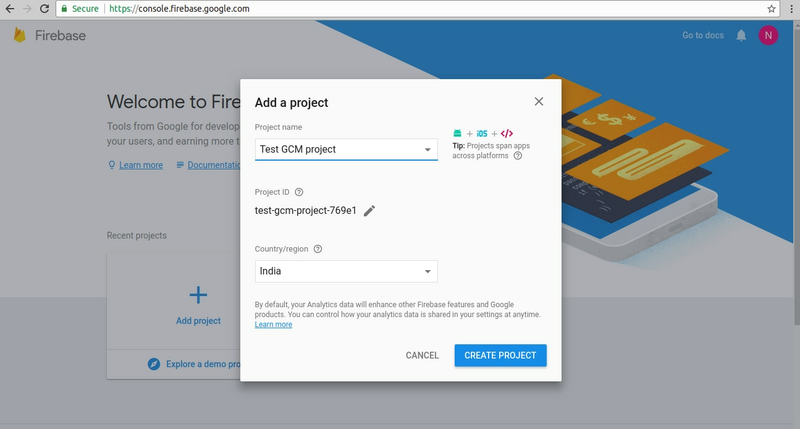 Here are steps to get GCM Sender Id and GCM API Key. 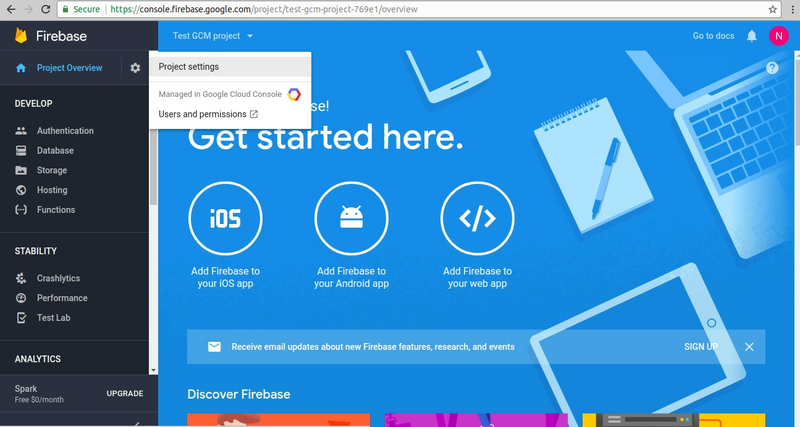 Login with your Google Account (please make sure that you are using the right Google Account as this will be the owner of the project). Click on ‘Add Project’ button on the left middle section of page. Once the project is created, you will be taken to project detail page. Click on setting icon beside the Project Overview and Select Project settings that looks like. 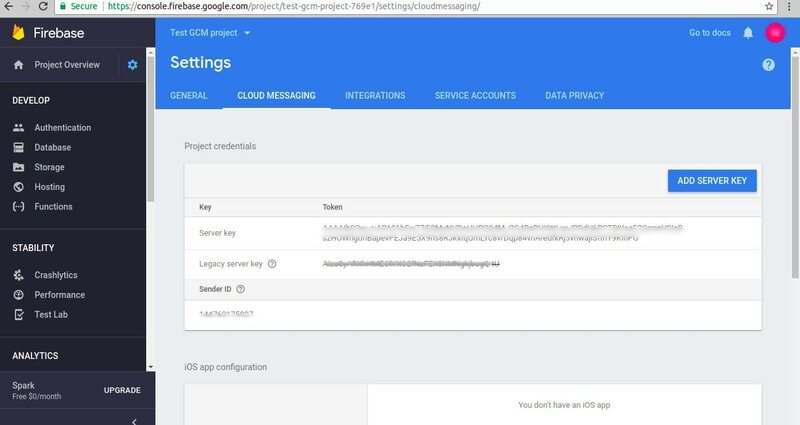 Server Key is the GCM API Key required to be updated in the Connecto Dashboard.